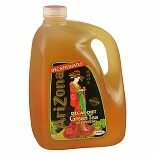 Shop Arizona Green Tea (128 oz. )128 oz. 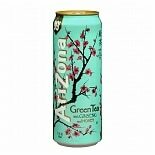 Shop Arizona Green Tea (20 oz. )20 oz. 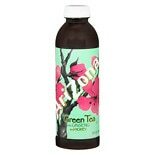 Get refreshed and caffeinated with iced green tea. These tea bags are specially designed to taste great on a hot afternoon. While Arizona is known for its delicious canned teas, the company also sells tea bags. 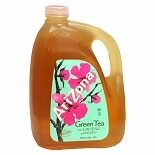 This allows you to brew your own Arizona Iced Green Tea at home whenever you want. 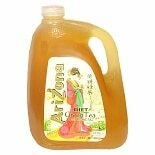 Try adding coffee to your Arizona tea for a homemade iced green tea latte. Available in peach passion or blackberry pomegranate flavors, Lipton iced tea is a delicious way to cool down on a warm afternoon. Load up on tea bags to give yourself the ultimate choice in what you drink. Try Celestial Seasonings' Blueberry Cool Brew flavored tea for a different twist in your afternoon drink. 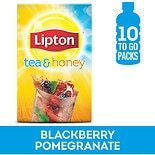 If you want a less sweet fruit infusion, give Bigelow Green Tea with Pomegranate a try. 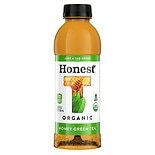 If you prefer your tea plain, Tazo and Arizona both offer simple green tea bags for your drinking pleasure.